The Castle School of English | Edit Blog Is learning English a good idea? Ok maybe sometimes it is hard work, confusing and frustrating. However, it can also be a great way to meet new people when you practise your English. 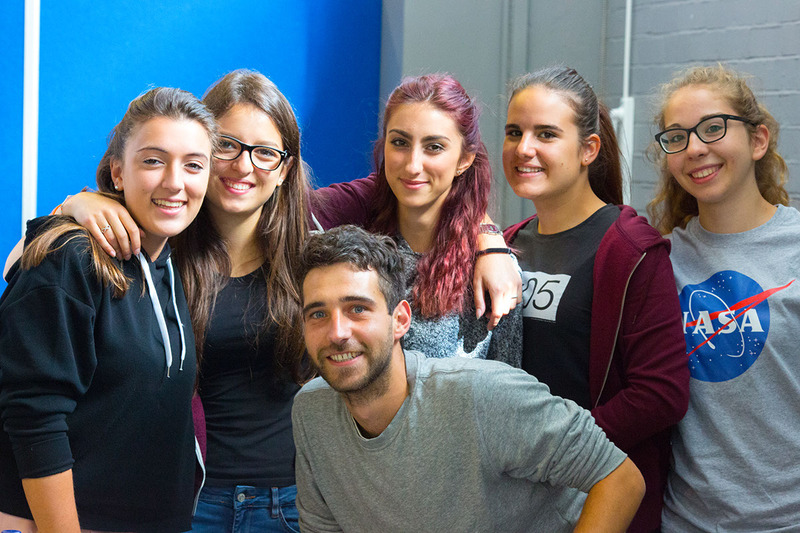 Socialising and having fun is an important part of the English language learning process. Misunderstandings are sometimes hilarious! I’m sure you already know that being fluent in English will enable you to talk to millions of people. Did you know that more people speak English as a second language than speak it as their first language? So if you add all those people together, that’s a huge number of people you can now comunicate with if you want to, from all over the world! And don’t forget, there are lots of job opportunities for people who are good at English, especially if they have taken English Exams and got qualifications. It is really useful for the internet too! And watching English films without needing subtitles – imagine that! And you can understand the lyrics to all the English songs, which is a mixed blessing. English is a good language! Say what you want about our weather, but our language is great! On the subject of weather, did you know we have over 30 words for different types of rain? That is because our weather can be terrible and our language is very descriptive! It is a logical language, but also rich with expressions and not too many verb forms. We call living things that are male “he” and female “she.” All the other things in the universe are called “it” because they are not living. Simple! (Apart from ships which we sometimes call “she”- I don’t know why). The relationship between spelling and pronunciation is ridiculous, but apart from that, English is great! I hope I have inspired you to learn English or improve your level of English. If so, I suggest you practise as much as possible. If you are not in England at the moment, come! I live in Brighton and it is really nice here, so maybe come to Brighton. You can study English on a special course, or just live here and talk to people. I strongly recommend it!